When I went to draw this strip, I remembered the copy shop owner as having a child-molester mustache. 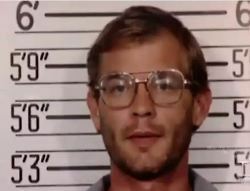 Then I looked at the episode and it turns out he has child-molester glasses. That’s some good creepy-guy casting there, X-Files. Then again, David Duchovny said he was playing Mulder as Jewish unless he was told otherwise! – The actress playing the daughter had no idea how to pronounce the Yiddish word for “Daddy”. She kept saying “tah-TAY”. It’s “TAH-tee”, sounding almost identical to “Daddy” because Yiddish and English are both Germanic languages. – Jacob Weiss was somehow arrested by the British eleven years after the State of Israel was already founded and the British left. (Not to mention that the sect of Judaism to which he belongs is non-Zionist and would not have gotten involved). Sometimes I think the only ethnicity they tried to portray and actually got pretty spot on in this show was Irish Catholic American (with the Scullys). Yeah, they didn’t do us Native Americans a service. But they at least got Native actors so they get points. I dunno…the only Irish character I remember from the show was a superpowered IRA arsonist who primarily targeted the British. I haven’t seen this episode but I’m assuming the hair is a reference to the 1920 film “Der Golem”. This episode was shot beautifully, but it was pretty bonkers, especially the last act. “Oh my crud, is this about my nose. I hate you and the writers so much.” I love it when you break the 4th wall! Also love the return of the Scully eating stuff at random moments motif. “White paper only” = win. Ones like Jeffrey Dahmer had. I always crack up at that scene in the Hassidic shul for that exact reason. This is and always will be one of my favorite episodes. This is one of those episode I can’t really remember all that well…. But the comic helps!. Just discovered this webcomic today and had to read the whole archive in one sitting. Love it. Your comments are as good as the comic. I loved the references to crazy ’70s politicians. But…I grew up reading comics by Chris Claremont, and I didn’t get the goth reference. Hey, I think I remember this one. At least they namechecked Sefer Yetsirah, which is a real thing (even if, as far as I know, it doesn’t actually contain a whole lot in the way of practical golem-building instructions). I was so excited to see my people portrayed on the X-Files! Yeah, there were some issues (every time she said Tah-Tey my eye ticked) but I love love LOVE the comic version of this! Thank you so much for making these, I’m a huge fan!